Bryan Colangelo might be unkillable. More than a week after the revelation that he or someone close to him had been tweeting confidential information from burner Twitter accounts, the Philadelphia 76ers general manager still has his job — and might even keep it. 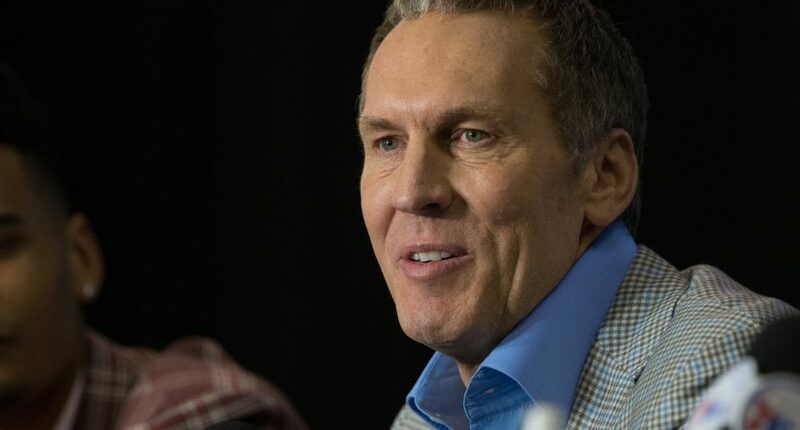 According to a report from NBC Sports Philadelphia on Wednesday, the Sixers truly believe that Colangelo had no knowledge of the accounts. While the Sixers’ investigation into president of basketball operations Bryan Colangelo’s Twitter fiasco is ongoing, the general belief within the organization is that it believes Colangelo’s assertion he had no knowledge of the Twitter accounts, did not send the messages or had known the messages were being sent, according to a source. Obviously the Sixers have information that the general public, but even so, this seems hard to believe. Yes, there’s evidence that it was Colangelo’s wife, not Colangelo himself, who controlled the burner accounts. But when The Ringer reached out to the Sixers asking about two of the accounts, the other three abruptly shut down, which would seem to suggest Colangelo knew what was up. It’s possible that Colangelo’s wife was acting alone, but it’s also awfully hard to believe. Colangelo’s fate should be decided soon, as the Sixers will want to know who their general manager is as they prepare for free agency. As of Wednesday morning, the situation looked bleak for Colangelo. Now, it seems as if he could survive the scandal. Either way, the Sixers need to get themselves together and quickly.